Comment: Lively purple with dashes of violet from cleanest crispest crystal. Precision Victoria cut by Peter Torraca. 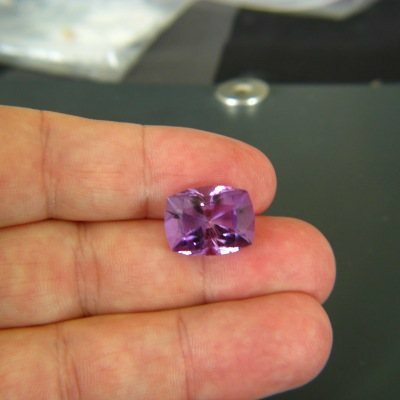 Finest natural unheated Uruguay amethyst. Great luster. 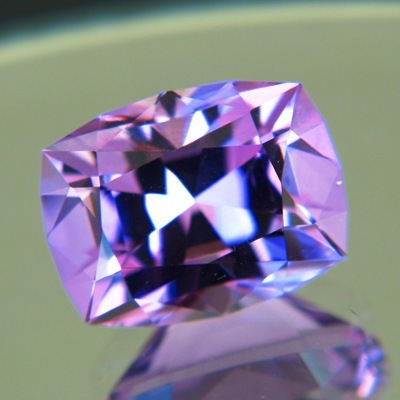 This gem is so clean even the microscope does not deliver any inclusions (it had to go through additional testing to determine it is not synthetic). Nature at its purest and then shaped with the best high-tech cutting. Contrary to image the color is 100% evenly distributed. No zoning.